At the Marketing Society Awards for Excellence 2013 we achieved the interesting distinction of winning an award that we didn't enter and didn't even realise on the night that we had been recognised for. It is the award for Marketing for Sustainable Consumption. 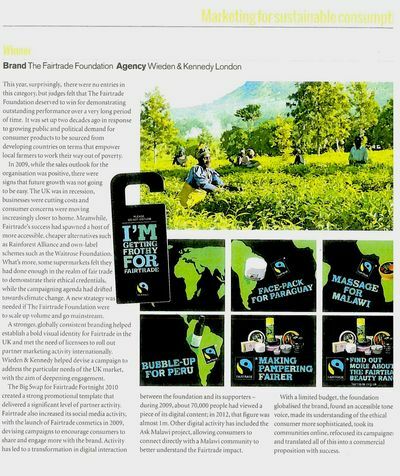 The Marketing Society awards supplement says, "There were no entries in this category but the judges felt that The Fairtrade Foundation deserved to win for demonstrating outstanding performance over a very long period of time… A stronger, globally consistent branding helped establish a bold visual identity for Fairtrade in the UK and met the need of licensees to roll out partner marketing activity internationally… With a limited budget the foundation globalised the brand, found an accessible tone of voice, made its understanding of the ethical consumer more sophisticated, took its communities online and translated all this into a commercial proposition with success." For more info on our work with Fairtrade, see here. 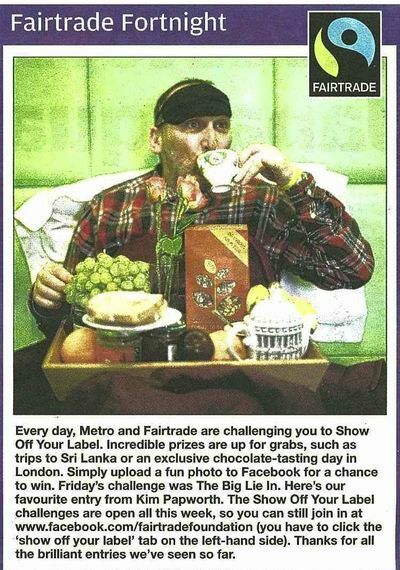 WK London ECD Kim Papworth features in coverage of Fairtrade Fortnight in today's Metro. 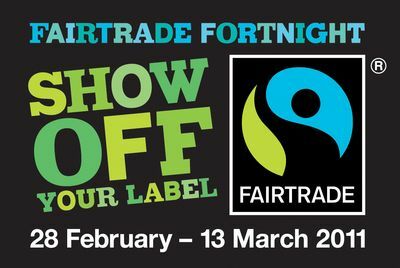 We’re in the second week of Fairtrade Fortnight and there’s been lots of showing off going on. We’ve had people showing off Fairtrade at work, people proclaiming their love using Fairtrade products or simply showing off their lovely cuppas. We’ve got a couple more challenges still to come and each challenge stays open for 7 days, so there's still plenty of time to be a big, massive show off. Today’s challenge is The Big Lie-In. This one's rather good, because you get to be really lazy for a good cause. 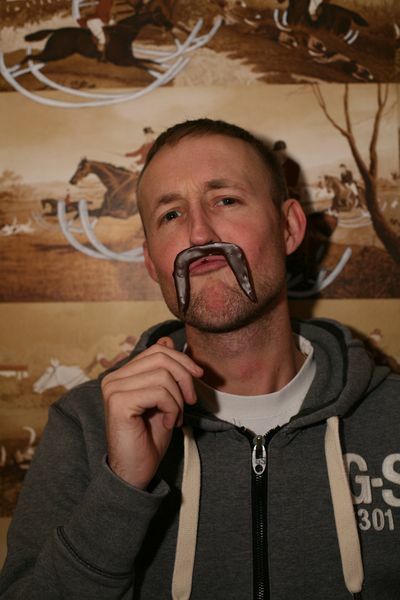 Here’s Mark Williams from The Fast Show explaining what it’s all about. 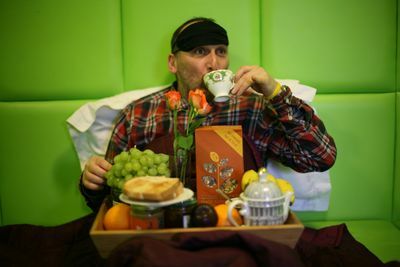 And here’s Kim Papworth demonstrating his lie-in skills very nicely. Saturday’s challenge is Wobbly Show Off. So dust off those jelly moulds and make a flamboyant fruit jelly. Bompas and Parr are kicking off the challenge with their very own Fairtrade jelly, the somewhat dramatically named, Fruit Salad of Doom. 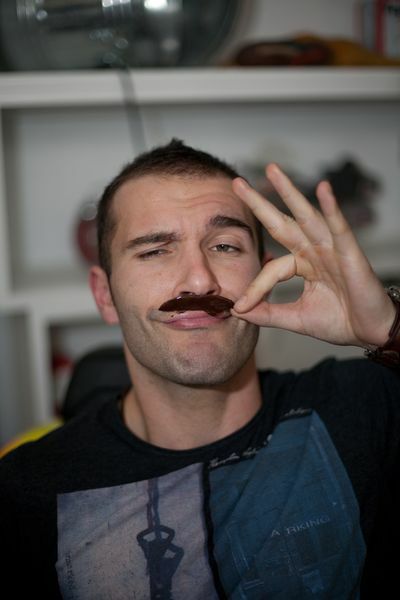 And the final challenge is Chocolate Moustache. 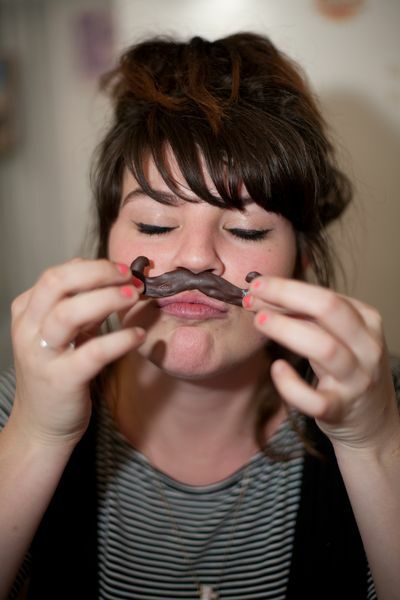 Here’s a little selection of people from the office sporting their very own chocolate moustaches. Very dashing. It’s the 5th day of the Show Off Your Label game and we’re getting some brilliant Fairtrade show offs rising to the challenge. Here’s a little round up of everything that’s been going on. 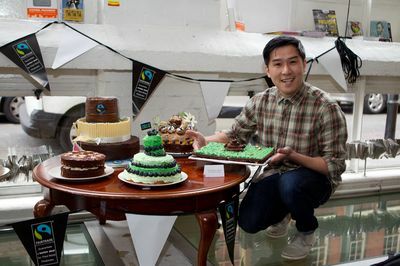 The Fairtrade bake-off started yesterday. 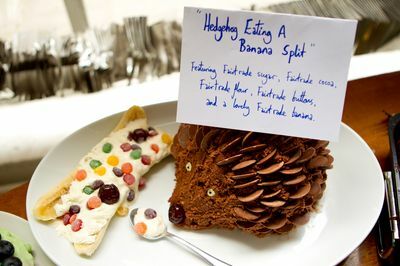 The challenge is to make the most attention-grabbing, eye-catching cake in support of Fairtrade. 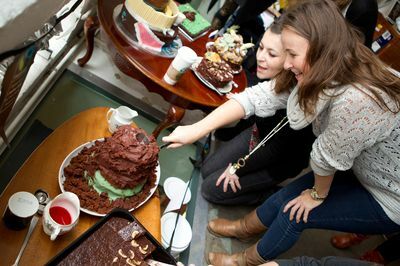 To kick it off we hosted our very own bake-off here at WK. We had a volcano cake that actually erupted, a revolving cake and a poo on a lawn cake. Yep, poo on a lawn, dee-licious. What a show from the WK bakers. Today’s Show Off Your Label challenge is Fairtrade Fruit Hats. All you’ve got to do is fashion yourself a fruit hat out of Fairtrade fruit and upload a picture for all to see on Fairtrade’s Show Off Your Label page http://tinyurl.com/6lg6cup. Here’s Fearne Cotton showing you how it’s done. There’s yet more challenges over the weekend. On Saturday we’ve got the Ice Cream Pile Up where you’ve got to build the tallest ice cream cone. Here’s a demonstration from the lovely Kim Papworth. And all the other show off challenges are still open, so there’s lots of showing off still yet to be done. 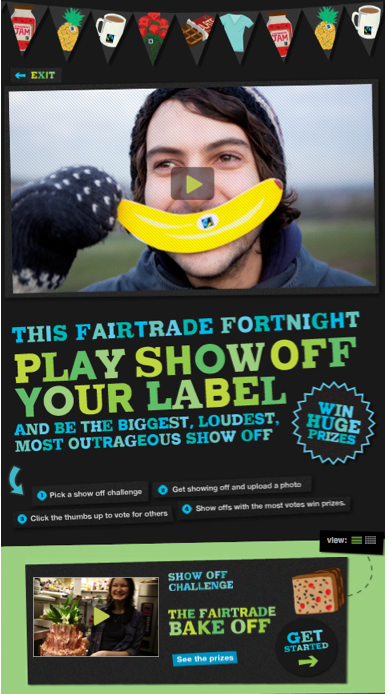 Fairtrade Fortnight 2011 is here and the game Show Off Your Label is up and running. Each day there’s a new challenge to get everyone showing off the Fairtrade label in silly, outrageous and ridiculous ways. There’s some really brilliant prizes up for grabs for the best show offs. Things like, a trip to the Dominican Republic, breakfast for your entire street, or a year’s supply of Ben and Jerry’s. I mean, who could resist a year’s supply of ice cream? Take a look at all the show off challenges here http://tinyurl.com/6lg6cup. Each one stays open for 7 days, so you’ve got loads of time to get showing off. 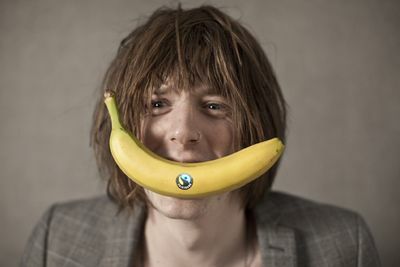 Blaine Harrison from the Mystery Jets kicked off our banana smile challenge on Monday. 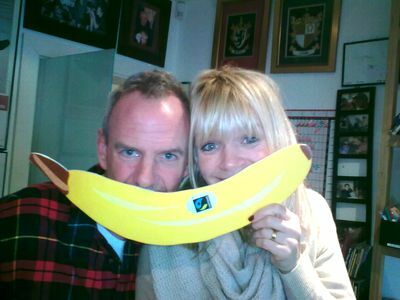 We’ve had lots of people flashing their banana smiles, including Zoe Ball and Norman Cook who got in on the banana action. Tuesday’s challenge was to transform your body into a Fairtrade product. People have been turning themselves into tea bags, chocolate bars, and one rather risqué pineapple, all through the wonders of camera trickery. 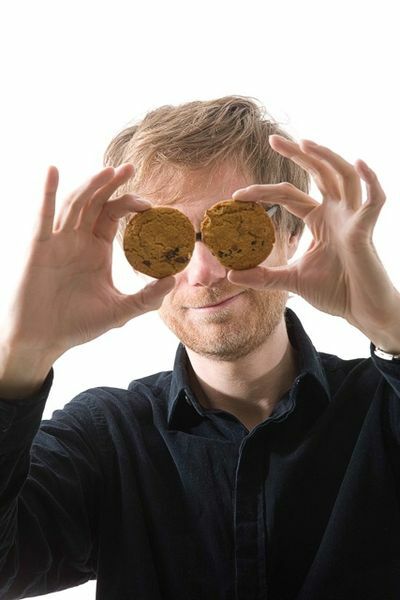 Stephen Merchant did his own interpretation and went for biscuit eyes. Yesterday Alistair McGowan (in the guise of Andy Murray) challenged everyone to wave the label in an outrageous place. 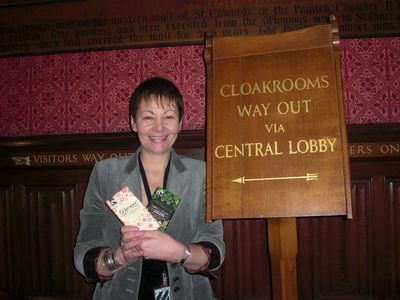 We’ve had people showing off a banana on a moped, a chocolate bar at the Carling Cup Final and Caroline Lucas even did some label waving in the Houses of Parliament. Today’s challenge is the Fairtrade bake-off. Check out this video of celebrity baker Lily Vanilli demonstrating the challenge, narrated by the brilliant Dave Lamb (of Come Dine With Me fame). So get your ingredients out and get baking. And don’t forget that all the other challenges are still open, so flash us a banana smile, Fairtrade body or label wave and be a big, massive, Fairtrade show off. 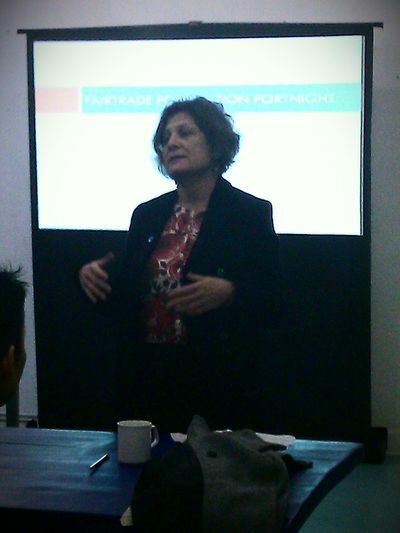 Harriet Lamb has been Executive Director of the Fairtrade Foundation since 2001. She has guided the Foundation through a period of staggering growth, which has seen estimated sales of Fairtrade products in the UK increase from £30m to more than £290m in 2006, with more than 3500+ retail and catering products carrying the FAIRTRADE Mark. 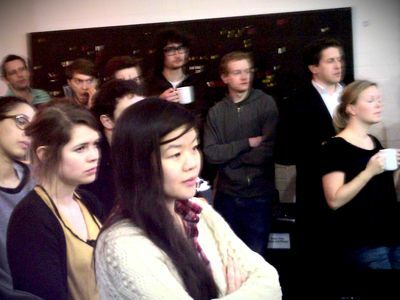 Harriet was awarded a CBE in the New Year’s Honours List 2006. Other accolades include Cosmopolitan Eco-Queen 2008 and Orange Businesswoman of the Year 2008. She is the author of the book Fighting The Banana Wars. 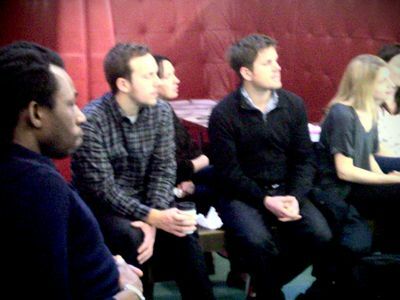 We were lucky enough to have her join us for yesterday's agency meeting at W+K London to talk about the work that the Fairtrade Foundation does and the work that we are doing together. 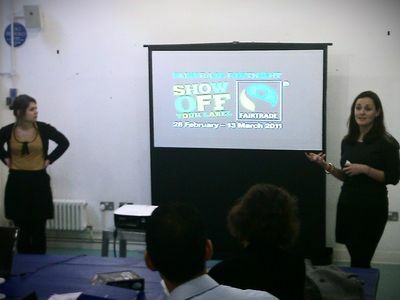 W+K's Sophie and Lucy took everyone through the work we've created for Fairtrade Fortnight 2011. 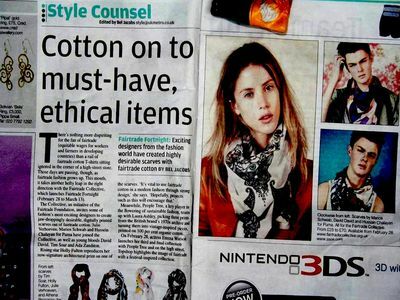 Metro says: "The Collective invites some of fashion's most exciting designers to create jaw-droppingly desirable, digitally printed scarves out of Fairtrade cotton." It’s a wonderful and exciting project for us as it’s the first time Fairtrade has properly embraced, and been embraced by, the fashion industry. Holly Fulton, Marios Schwabb, Hussein Chalayan and other leading designers are involved and are championing the use of Fairtrade cotton in ‘proper’ fashion. Find out more at FairtradeCollective.org.uk. Scarves go on sale on Monday on asos.com. Faitrade Fortnight is February 28 to March 13. 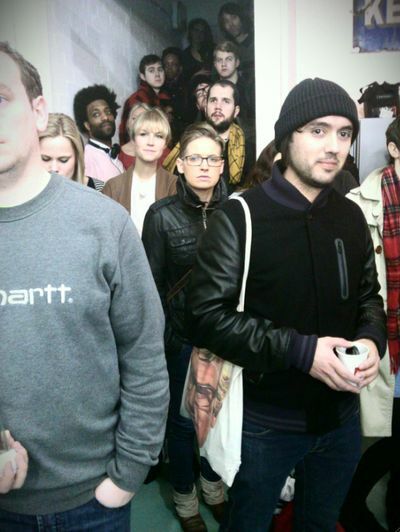 This London Fashion week, we’ve got some exciting news. On Monday (28th Feb), an exclusive range of gorgeous scarves are being launched through ASOS. It's a fantastic Fairtrade cotton project we've been working on. 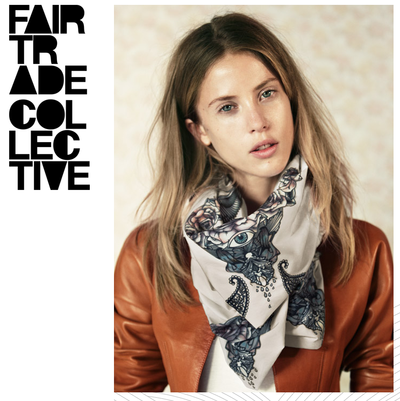 The Fairtrade Foundation has teamed up with leading designers including Julie Verhoeven, Marios Schwab, Holly Fulton and Hussein Chalayan, for ‘Fairtrade Collective’, to create a range of beautiful scarves made from Fairtrade certified cotton. 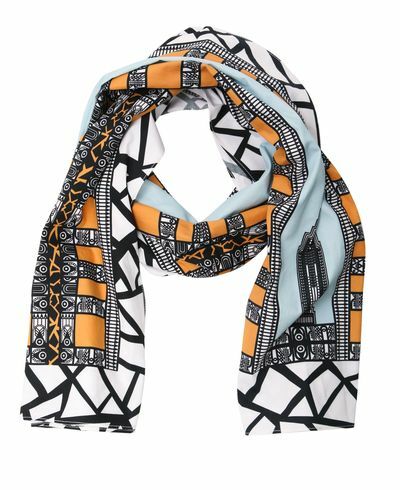 The scarves, available from ASOS during Fairtrade Fortnight (28 February – 13 March) and beyond, will be packaged in drawstring bags made from Fairtrade certified cotton using the same fabric and design as the scarf. Have a look on the website for the stories behind the scarves and go and purchase on asos.com from Monday. We’ll be wearing ours in a nonchalant fashion, loosely draped around the neck with a casual knot. Fairtrade Fortnight is a big, beautiful celebration of all things Fairtrade. Every year there’s a different theme, a different way to get people involved. This year the theme is ‘Show Off Your Label’. Wieden + Kennedy has developed a campaign asking the nation to flaunt Fairtrade products. 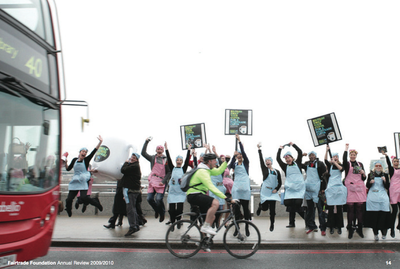 Every year for the past 15 years, Fairtrade has celebrated Fairtrade Fortnight. You’ll probably remember last year’s Big Swap where we got one million and one Fairtrade swaps – people around the country swapped their usual midmorning banana for a Fairtrade banana, their evening glass of Chardonnay for Fairtrade wine and their usual flowers for Fairtrade roses. Fairtrade Fortnight is a big, beautiful celebration of all things Fairtrade. It’s a chance to let folks know that there’s more to Fairtrade than bananas and chocolate. And to tell them about being involved with Fairtrade empowers developing world farmers and their communities. Because the work they do really is incredible, they allow these farmers to be in charge of their own lives. Every year there’s a different theme, a different way to get people involved. This year the theme is 'Show Off Your Label'. 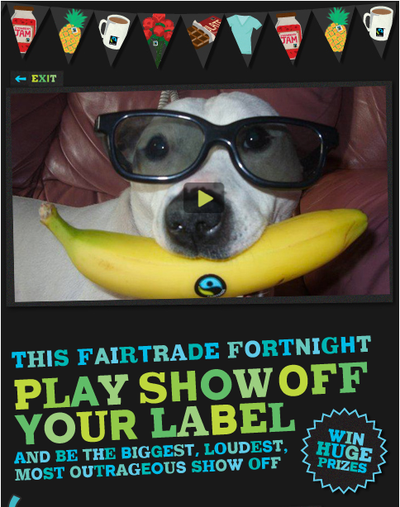 We’ve developed a campaign asking the nation to flaunt Fairtrade products. Have a little look at the film below – it gives you a good idea of the energy of the fortnight. The main activity will be done on Facebook this year. We’re launching a game that runs for just two weeks. Every day there will be a challenge with a super-jolly prize. 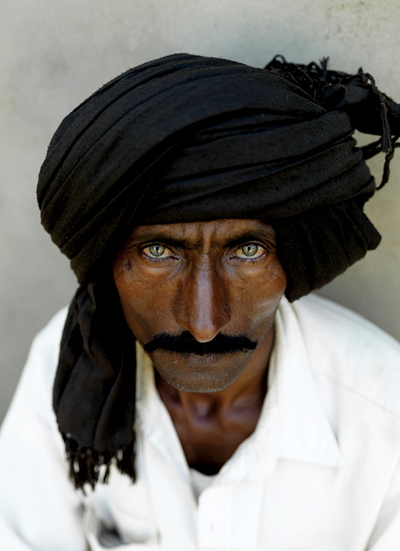 Stuff like winning a trip to Sri Lanka to meet Fairtrade tea pickers – 'mazing right? We’ll be getting everyone at W+K to do some of these challenges over the next few weeks, and we’ll keep you posted. 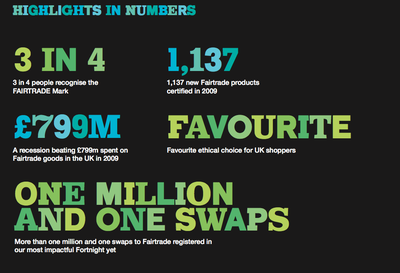 Not all down to us by any means but it's nice to know we did our little bit to help Fairtrade achieve these results.